Nigeria is a very important country in the West of Africa. Nigerian cuisine consists of dishes or food items from the hundreds of ethnic groups that comprise Nigeria. 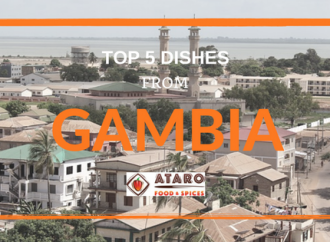 Like other West African cuisines, it uses herbs and spices along with groundnut or palm oil to create flavourful sauces and soups often very spicy hot with chilli peppers. Nigerian feasts are lavish and not to forget – colourful. Markets in Nigeria give out lovely aromas and you can find a lot of people selling roadside snacks that are fried in oil or cooked on barbecues, yummy!!! 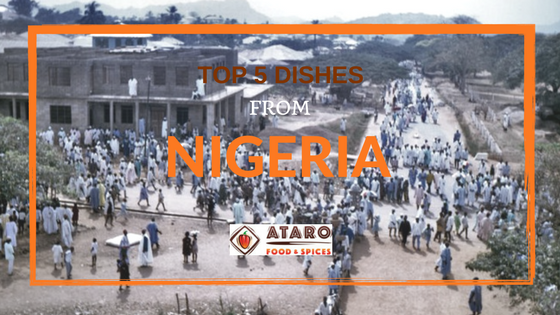 We put together a list of the Top 5 Nigerian Dishes for you, our readers. 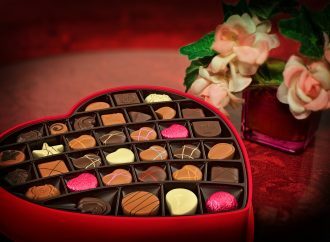 These are simple dishes, and you can include these in your cuisine as well. For the spice mixes, do not worry, just head to the Ataro Food and Spices store! 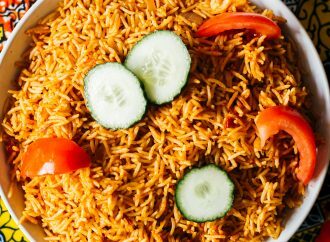 Jollof Rice is a very staple dish of the Nigerians so makes it to the top of our Top 5 Nigerian Dishes list. Our previous post covers this recipe, you can use the Jollof Spice mix from Ataro Food and Spices store so it makes things easier for you! Egusi seeds are protein and fat-rich seeds of certain cucurbitaceous plants such as gourd, squash or melon, which after being dried and ground are used as a major ingredient in West African cuisine. This soup is a kind of dish which is thickened with the ground seeds and very popular in West Africa, with considerable local variation. 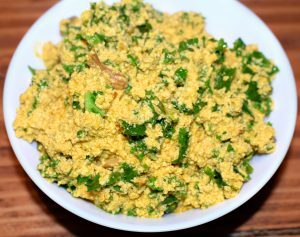 Besides the seeds, water, and oil, egusi soup usually contains leafy vegetables such as bitter leaf, spinach and celosia, a few other vegetables such as okra and tomatoes, seasonings such as onions, chilli peppers, locust beans, and meat, crayfish, shrimps, goat or beef. The name itself sounds very interesting, right? Commonly referred to as Congo meat (we have no idea why!) snail meat is a preferred item in Nigeria and the snails simmered in a peppery sauce is usually consumed as an appetizer. Snails can be a pain to clean but there are easy ways to deal with them – using alum/lime or even salt to do the cleaning quickly and effectively. We found this lovely recipe by Dobbys Signature. This dish can be prepared pretty quickly, you can find the recipe here You can try using Ataro Food and Spices’ spice mix in place of the seasoning cube and improvise on the flavour. Makes for an interesting starter, so why not try it today and dazzle your friends? Edikang Ikong is a vegetable soup, the origin is said to be from the Akwa Ibom region of Calabar. So what goes into this soup? This soup has a lot of green leafy vegetables in it, most commonly pumpkin and water leaves are used. Beef, crayfish, dry fish are part of the meat that is also added to the soup. Making the soup is simple, here is an interesting recipe to make it. 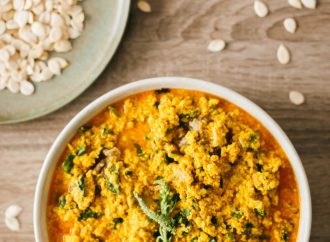 So far we have come across many meat-based dishes from the West African region, but this one is a vegetarian-friendly recipe! So all you vegetarians out there, this one is for you! Akara, is a fried bean cake, is usually eaten in breakfast and a very popular Nigerian dish. Although it is a breakfast dish, it is a snack that can be eaten at anytime of the day. When eaten with Pap (ogi), custard or Agidi as light dinner. So how is it made? Akara is made with beans, usually Nigerian Honey Beans or Black eyed peas. 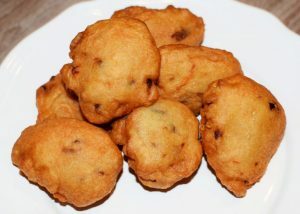 We shares this lovely recipe to make a tasty Akara. In all these recipes, stock cubes or bouillons are added, you can replace this with West African seasoning mix from Ataroa Foods and Spices and give it an all new taste, right? Game for some improvisation, let’s start! 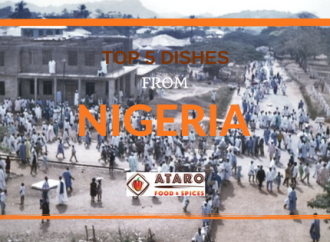 Did you enjoy reading our Top 5 Nigerian Dishes? Visit the Ataro Food and Spices online store and start shopping! Happy Cooking!